With Amazon moving to Long Island City, you can bet your bottom dollar the Queens neighborhood is in for some marked changes. Even prior to the official November announcement, dozens of new developments were on the drawing board that would further reshape the area's once-sparse skyline. 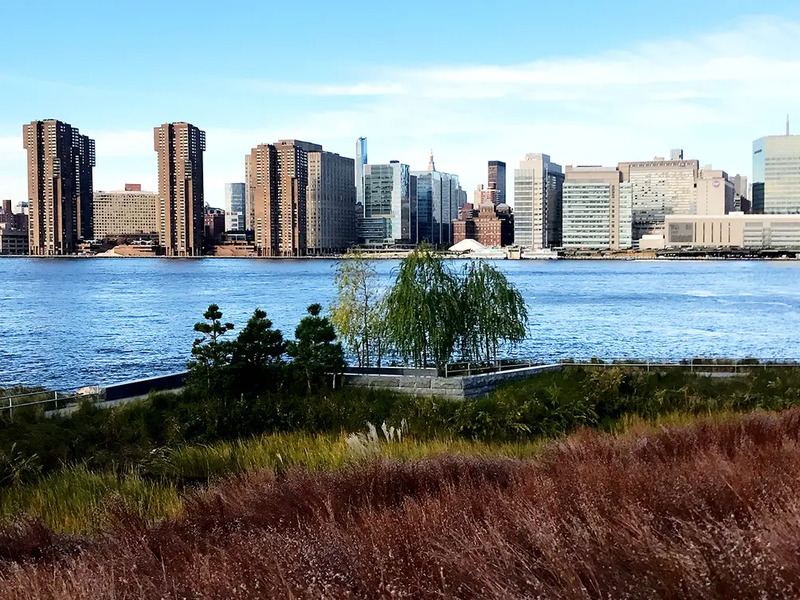 One of the largest ventures in the pipeline is a plan to build a one-million-square-foot apartment complex on city-owned land within the Hunters Point South Master Plan. 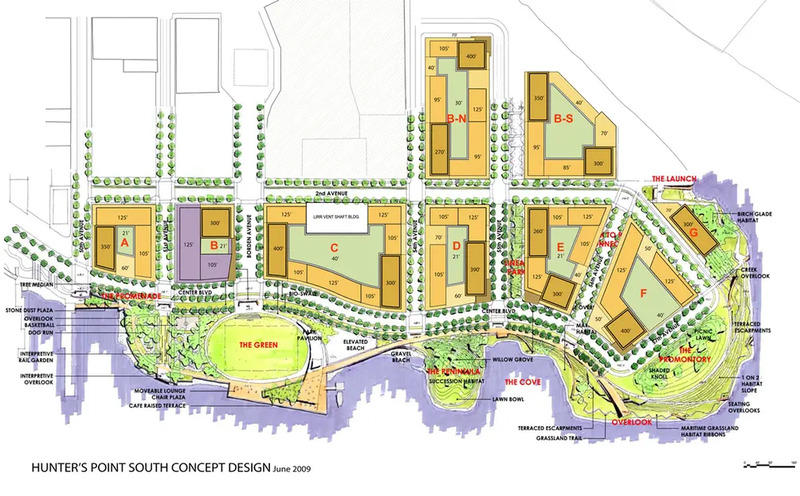 The nine parcel plan situated on 30 acres of waterfront property at the southwest tip of LIC was conceived by the Bloomberg administration and would ultimately bring 5,000 apartments (at least 60% of which are to be affordable to low/moderate income families) and a ten-acre waterfront park which opened earlier this year. 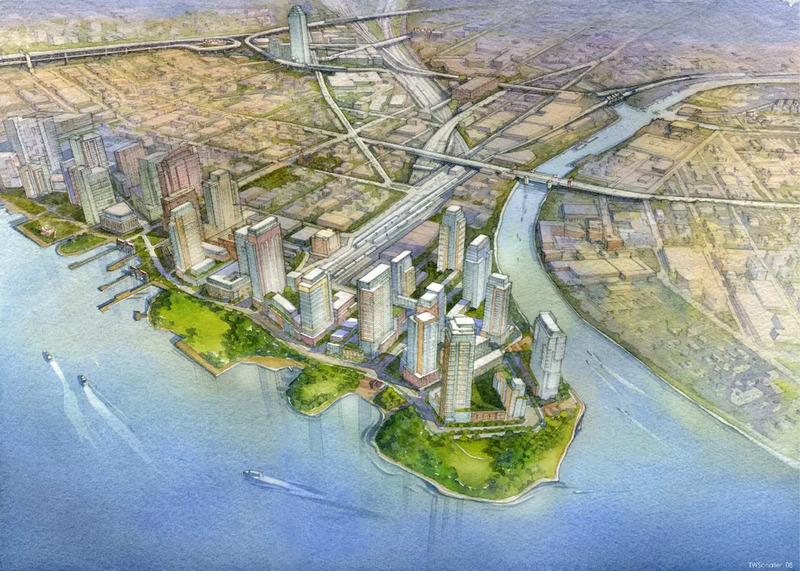 In November 2017, The Wall Street Journal reported that the city has selected Gotham and RiseBoro Community Partnership Inc. to build on Hunters Point South parcels F and G. The $500 million project would include 1,100 apartments and roughly 40,000 square feet of retail and community facility space. 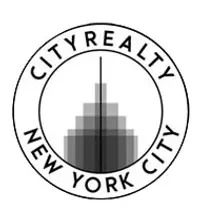 Approximately 80% of units (about 900) would be permanently affordable apartments, 93 of which would be earmarked for seniors of varying income levels. Handel Architects is leading the project's design and penned a fraternal pair of towers 57 and 33 floors high. The taller tower would stretch nearly 600 feet above the East River, making it the tallest building on the Brooklyn-Queens waterfront by far. 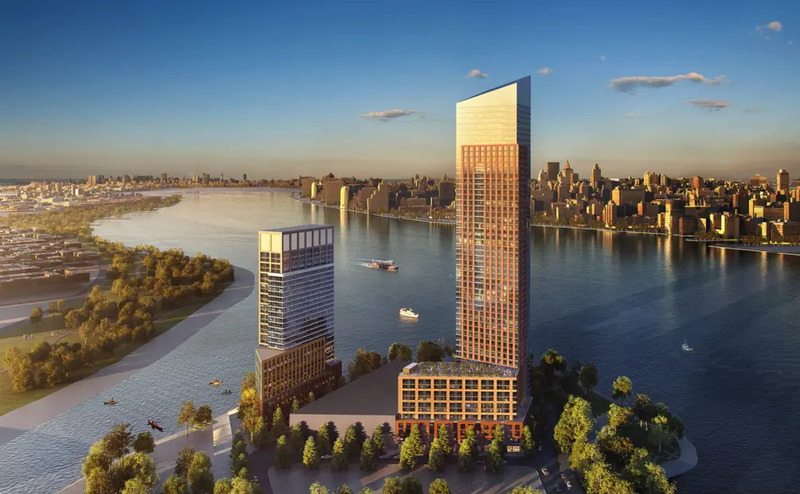 However, a platoon of new towers are planned along the river, a few of which would rival this plan such as TF Cornerstone's pair of buildings planned at Hunter Point South parcel C which will stand 56 and 46 floors high. Two finished towers at Hunters Point parcels A and B were designed by SHoP Architects. 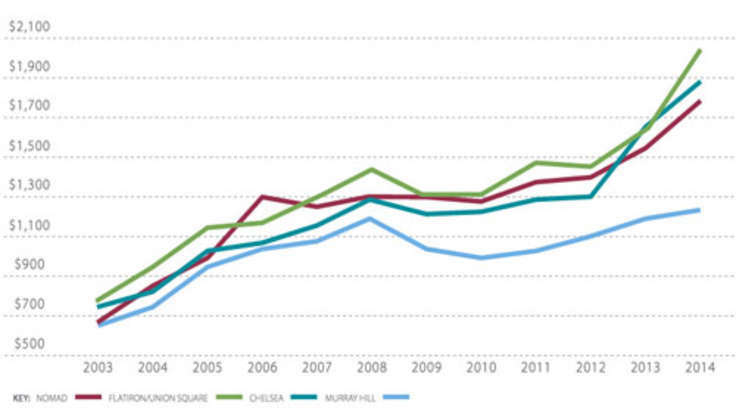 From Great Listings Court Square's Watermark LIC Now Ready for Habitation; Studios from $2,449/Mo.